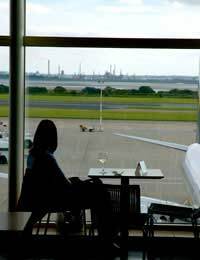 You can safely carry on doing most things while you're pregnant, but if you want to go abroad for pleasure or business, or need to fly within the UK, you probably want to know where you stand with air travel? More people than ever before are travelling by air – and that includes pregnant women. In the large majority of cases, it's safe to travel while pregnant, even to far flung exotic destinations, but you do need to be aware of certain issues. The safest time to travel is during the second trimester, from 12 to 24 weeks. This is because during the first trimester there's a higher risk of Miscarriage and in the later stages of pregnancy, there's a higher risk of complications, such as high blood pressure or premature labour. As a bonus, most women feel at their best during the second trimester, with morning sickness over and done with and energy levels better. However, if you've had any early pregnancy complication, such as spotting or high blood pressure, suffer from Diabetes or are Having Twins, it's advisable to check with your doctor in advance, before you make any plane bookings. Before you happily set off on your travels, there are some crucial points that you need to consider first. However fine you feel, it's best to check with your doctor, midwife or consultant first that you are healthy and it's okay to fly. You need to check your Travel Insurance to ensure it's valid for pregnancy, foreign travel when pregnant and covers a baby. For example, if you gave birth prematurely, your baby would need special care, which could be expensive. Check with the airline that they'll allow you to travel. Although most companies are fine about having pregnant women on board, some are more picky and won't allow women who are more than 32 weeks pregnant with twins or 36 weeks or more without. If you're over 28 weeks pregnant, you'll probably need to carry with you a letter from your doctor or midwife, stating details such as the fact that you're healthy and well, that it's safe for you to fly, that your pregnancy is uncomplicated and your expected due date. Otherwise you may find yourself being challenged at the check-in desk and you really don't need the stress of an altercation. Drinking plenty of water, especially on long flights, to prevent dehydration. Avoid sitting still for too long. Get up and walk about, or wiggle your feet and legs regularly, or at least for 15 minutes an hour. Pregnant women have an increased risk of developing deep vein thrombosis (DVT). Ask for an aisle seat to make moving about easier. Always wearing the seatbelts provided. Although you may worry that they could press against your stomach and harm your baby, it's actually more harmful to not wear them at all. Avoid taking any travel sickness medication without prior advice from your doctor. Some medicines aren't suitable for use during pregnancy, but there are some varieties, such as Cyclizine and promethazine which doctors can prescribe. Wear loose clothing for comfort. As well as being safe for you, flying should also be safe for your growing baby. If you have any doubts about air travel or how it could affect your pregnancy, always speak to your doctor or midwife – they're there to answer your concerns.